A.L. 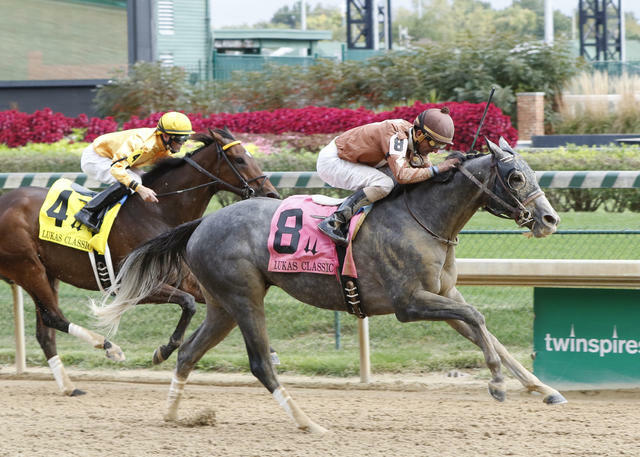 Luedtke’s homebred Geothermal ran down favorite and five-time stakes winner Departing in a long stretch drive to win Saturday’s $175,000 Lukas Classic (Listed) for older horses at Churchill Downs by 1 ½ lengths. Formerly known as the Homecoming Classic, the race was renamed this year to honor Hall of Fame trainer D. Wayne Lukas. The legendary 80-year-old horseman has been based at Churchill Downs’ Barn 44 since 1989 and has conditioned an astounding 26 Eclipse Award-winning champions, as well as four winners of the Kentucky Derby and Kentucky Oaks. Trained by Steve Margolis and ridden by Robby Albarado, Geothermal covered the 1 1/8 miles on a fast main track in 1:49.93. Abraham led the field of seven older horses through fractions of :23.32 and :47.82 with Geothermal unhurried early from the outside about six lengths off the leaders. He made his winning bid entering the top of the stretch with a three-wide move to engage Departing. The two battled down the lane but Geothermal edged away in the final yards. Departing was second in the race as the $1.30-1 favorite for a second consecutive year after falling short to Cigar Street in 2014. Albarado had ridden Departing in 11 of his previous 13 starts but opted to ride Geothermal for Saturday’s race. The victory was worth $106,330 and increased Geothermal’s earnings to $305,181 with a record of 23-5-6-2. 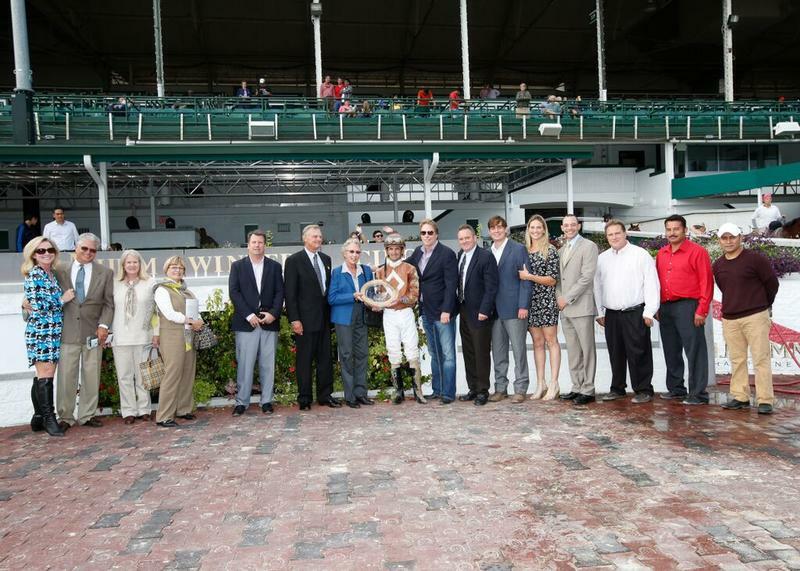 It was the first stakes win for the 6-year-old gelding in only his second stakes attempt. He fell a nose short of victory to Ulanbator in his previous start, the $103,150 Michael G. Schaefer Memorial over sloppy going at Indiana Grand on July 18. Geothermal is a son of Unbridled Energy out of the Defrere mare April Closing that was bred in Kentucky. Geothermal returned $26.60, $7.20 and $3.40 as the second longest shot in the field. Departing, ridden by Brian Hernandez Jr., paid $3.20 and $2.80. Smack Smack, under Shane Laviolette, was another 2 ¾ lengths back in third paid $4. Hesinfront, Irish You Well, Ulanbator and Abraham completed the order of finish. Mylute, the morning line favorite, was scratched when trainer Todd Pletcher elected not to ship the colt from his New York base. 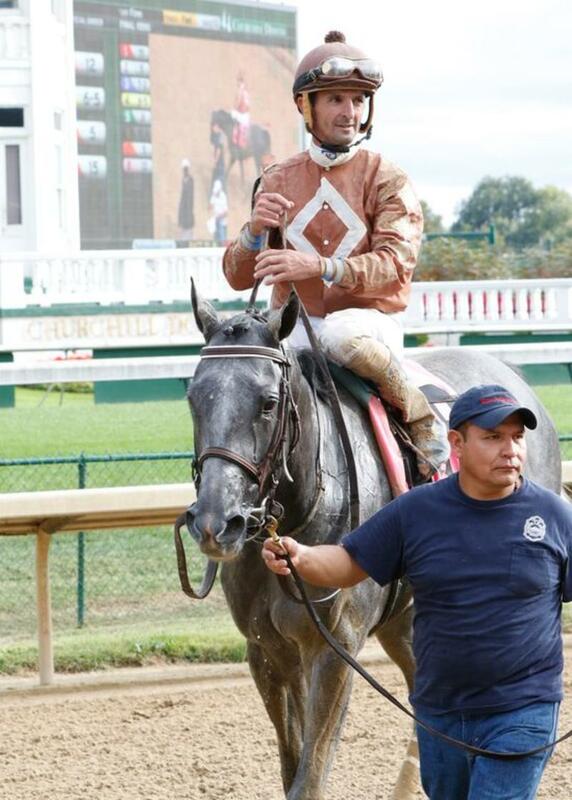 Hall of Famer Lukas, who was hospitalized in Philadelphia a week ago and underwent procedure to insert a pacemaker on Tuesday, was unable to attend Saturday’s race because he was traveling back to Louisville with his wife Laurie after being released from the hospital on Saturday morning. Several of Lukas’ former assistants, including Mike Maker, Dallas Stewart and Will Van Meter, along with current co-workers represented the absent trainer for the G.M. MUMM Winner’s Circle presentation. Racing at Churchill Downs continues Sunday with an 10-race closing day program to conclude the 11-date September Meet. The first race is 12:45 p.m. ET. Jockey Corey Lanerie enters the card with a 14-11 lead over the Brian Hernandez Jr. in the jockey standings. 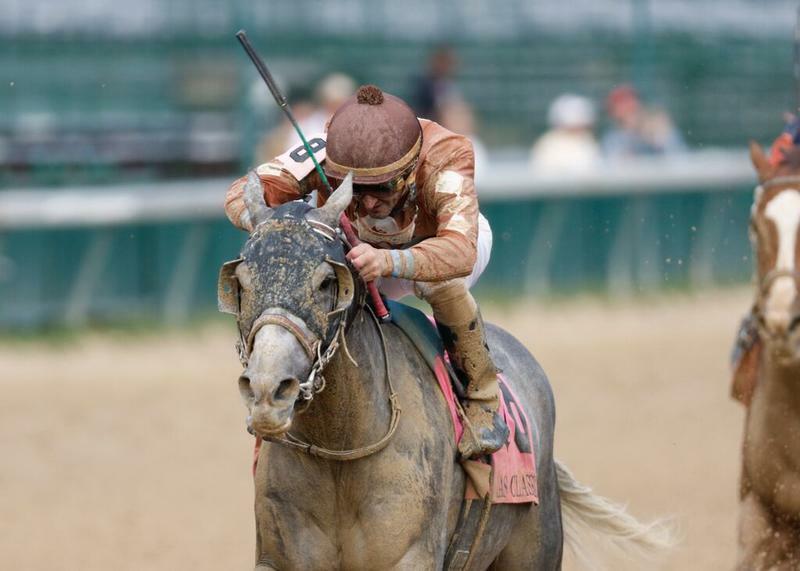 Steve Asmussen and Dale Romans are tied atop the trainer standings with six wins apiece. Tom Durant leads the owner’s standings with three wins, one more than Dave Hearn, Ken and Sarah Ramsey and Gary and Mary West. STEVE MARGOLIS, trainer of GEOTHERMAL (winner): “This horse has been doing better and we freshened him up since the Indiana race. He’s a gritty little horse. Ever since the Fair Grounds, he has run well on the turf but we looked back on his numbers and his numbers have been so much better on the dirt and he’s healthy now – he’s sound. “Lynn Whiting had him early on and then I got him for the winter. He’s just been a neat little horse and we’ve always done right by him. He had a little this and that and then we freshened him up on the farm. He hasn’t raced that much for being as old as he is so we figured why not take a shot. “There was a three-other-than (allowance/optional claiming race) at Keeneland if this didn’t work out. Depending on what happened here there was an allowance at Keeneland in a month that we would have gone. The Fayette is good timing. After that last race, me and Al [Luedtke] were talking about the mile-and-an-eighth maybe being a bit of a stretch for him. Really the way he closed in that race [Michael Schaefer Mile] I thought he could get it if he got the right trip and then of course today the race was a mile-and-an-eighth, off a layoff and he had to go wide.